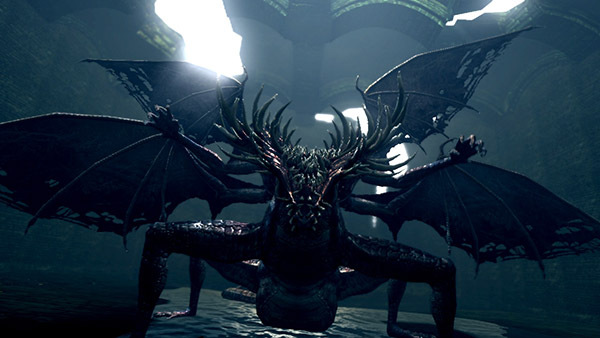 Dark Souls‘ difficulty is perhaps the most known aspect of the game. When something’s catch-line is “Prepare to die” it says it all really. But why is this a good thing? I chose the word ‘challenging’ rather than ‘difficult’ for a reason. You will die, you will get frustrated and you will struggle at times but the game is usually fair. A basic enemy can kill you in a few hits but you can kill most enemies quickly too. The game can be beaten without ever levelling up or upgrading your gear and that is something that would be impossible in most games. It puts your skills to the test and forces you to learn. Once you know an enemy’s attack pattern, it all becomes so much easier. That challenge can prove to be too much at times though and you might feel like you are smashing your head into a brick wall. Luckily for you, Dark Souls is laid out in a way that means you can wander off into different areas to get stronger or progress. It also means that you can play around with the order that you kill bosses in. There is a right way to progress but there isn’t really a wrong way. You can ring the second bell before the first (if you’re up for the challenge) and you can go to the Abyss before you should to see a new character who offers a different take on events. There are three whole areas that you might never even find without being told about them. How you progress through the game is completely up to you. In most games the musical score is little more than background noise that stops the game from being too quiet. 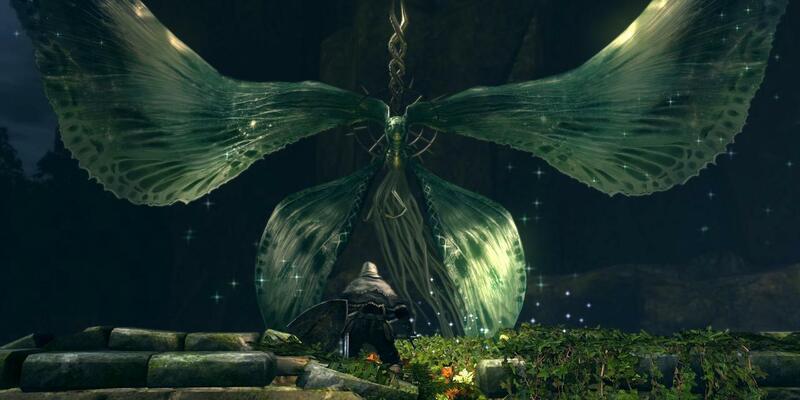 You may not think that you would spend much time listening to the music in Dark Souls as a boss uses your lifeblood for interior decorating, but you do. The score captures the game’s atmosphere perfectly. The classical orchestra is gothic and haunting, ranging between high strung tunes that keeps the tension of a scene pulled and ghostly lullabies that sound so serene. The bosses are made more memorable by the score to the point where just hearing the music evokes vivid images of the battle in my head. The story of Dark Souls is interesting in the fact that it is as deep or as shallow as the player wants it to be. The story as told in the game can be summed up as “You are the chosen undead. Ring two bells then travel to the land of the gods.” This is a vague narrative chain that links together boss battles. If you don’t care for story and play games for the gameplay alone then the story is nothing more than “there’s a powerful dude over there, go kill him”, but if you like an in-depth story it is all there to be discovered. Item descriptions, objects in the world and character dialogue all offer little titbits of information like jigsaw pieces that the player can put together. It involves the player more directly into the world and allows them to choose their own level narrative depth. The length that some theorists go to can be pretty impressive. 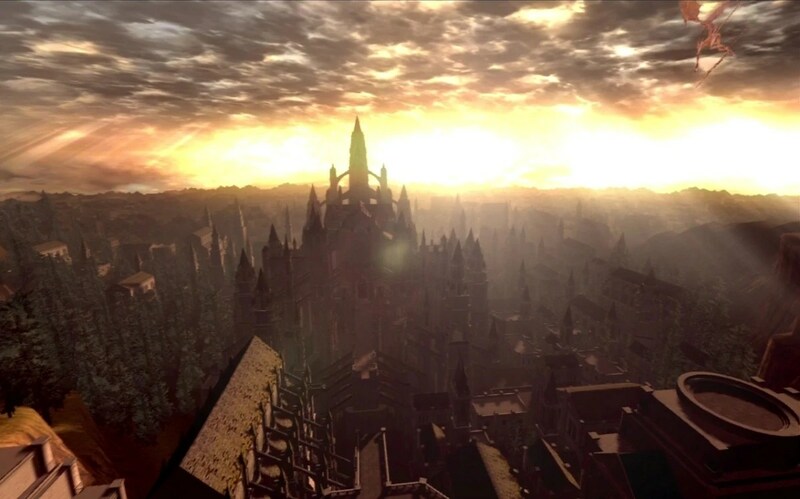 The world of Dark Souls is hauntingly beautiful. Once the world was grey until the First Flame was discovered. Then gods rose up and killed the dragons that ruled these twilight lands and built great empires. Now the world is dying and as players we see the decay of once magnificent cities. Crumbling structures, abandoned towns, expansive forests, dank sewers and grand gothic architecture provide a varied world filled with wonder that are all perfectly joined together into a believable and seamless open world. Stand anywhere with a good view and you will see the beauty of the backgrounds. You are going to spend a lot of time around hostile creatures in Dark Souls so it is important for them to be varied and impressive. This is one thing that Dark Souls does really well with. Even the most basic enemies, the hollows, have several varieties and can screw you over in an instant if you underestimate them. There are undead dogs, giant laser butterflies, powerful knights, hydras and treasure chests with big teeth and a bigger appetite to name but a few. Everything looks the part too. The black knights look proud and strong and the demons look like abominations from the deepest pits of Hell. And don’t get me started on the Gaping Dragon *shudders*. Things look so terrifying that your first thought is “nopenopenope” but when you beet them it makes you feel all the more like a god. The characters in Dark Souls are special in a strange way. Fans love many of the characters, even above beloved characters from other games. What makes this strange though is that you actually interact with the characters so little. They stand in one place and offer a few snippets of dialogue or they are wordless bosses. 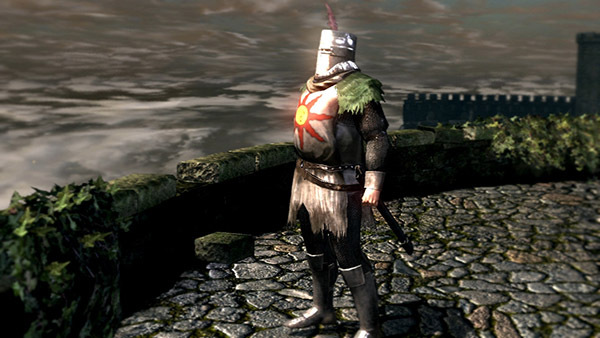 Knight Solaire is one of the iconic characters in the game and is still only seen in the game on a handful of occasions. He can aid you in some boss battles and speaks a little when you see him in the main world but you never travel with him or hear his life story. Another much loved character is Artorias who didn’t even appear in the main game and serves as a speechless boss battle in the DLC yet for many he is their favourite character in gaming. I can’t explain why in such a short form place as a top 10 list but suffice it to say that you really come to admire or pity the characters of Dark Souls. It is sad that this is even a thing. Dark Souls as a game represents something that AAA publishers want to deny. It is a predominantly single player game with high difficulty and no microtransactions or small scale DLC. The game didn’t cost a fortune to make and should be very niche in its audience base but somehow it isn’t. Demon’s Souls was obscure but well received as a PS3 exclusive, Dark Souls 1 leapt into the public eye and gained considerable mainstream support, Dark Souls 2 launched with the fanfare of a AAA game and Bloodborne has gone down as the best PS4 exclusive game to date. Publishers are constantly telling us that games need to be multiplayer, have dumbed down controls to appeal to the casual gaming crowd and use after purchase sales of extra content to recoup costs but Dark Souls, like The Witcher and Fallout games show that this is not the case. The thing that I love about many games is the sense of community that is built around them. For a single player focussed game, Dark Souls has one of the largest and most active communities out there. Sure there are those who seem only able to communicate in terrible memes and answer every question with “git gud” but on the whole the community is actually very helpful and creative. You have all of the people who examine the lore of the game and try to piece together its characters and narrative, others who host fight-clubs for players to gather and duel and the people who go further and create animations or even songs. The passion and effort that goes into all of these things is astounding and it is rare to see it from other games. Just listen to Lordvessel by Tanooki Suit to get an idea of just how much inspiration the community draws. Every other point on this list comes together to great a rewarding game that few others match. Dark Souls is hard. You will die, be worn down, frustrated and alone for much of the game. 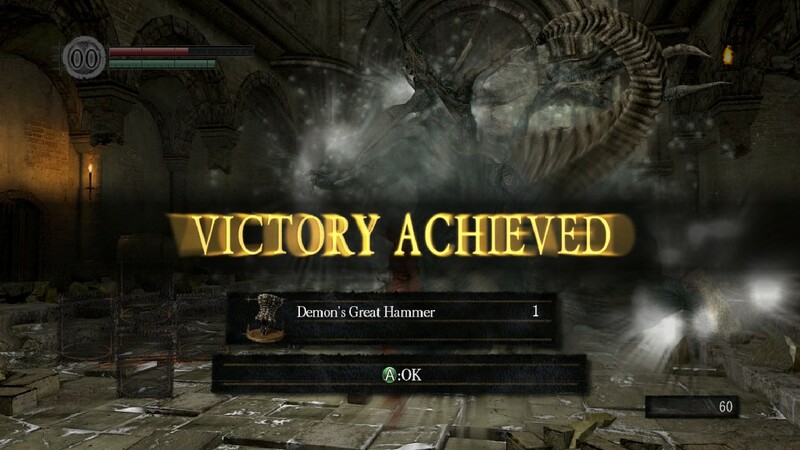 When you beat a boss though you feel like all of that pain has paid off. You get a sense of accomplishment because you had to work for it. Dark Souls is like a school bully that keeps beating you up until one day you are finally able to stand up for yourself and beat them down. The game leaves a lasting impact with you because it is a real journey to get to the end. The end itself doesn’t matter because it is the constant uphill fight to get there that stays with you. You are the underdog with all of the odds stacked up against you but with enough perseverance you will come out on top. So yeah… you should all go check it out. Give the game a chance. When I first played it I got into the second half of the game and gave up. Didn’t touch it for over a year. Then I came back, started again and put 70 hours into beating it. People can complete it in under two hours or without dying, levelling up or using checkpoints. Accept that you will die a lot and just try to enjoy the ride. 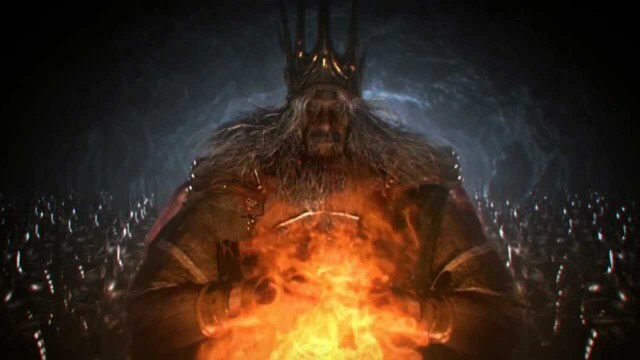 Hopefully I’ll see you all in Dark Souls three for some jolly co-operation.